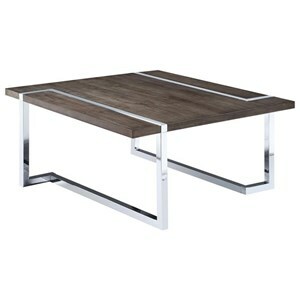 This sofa table is a perfect addition to your living room or entry way space. 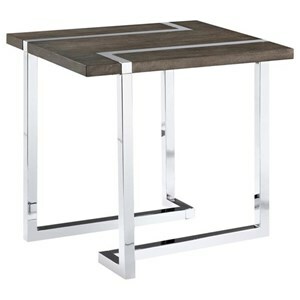 Featuring a base crafted from metal tubing, the table showcases a unique, rectangular wood top with metal accents. Completed with a dual charcoal and chrome finish, the sofa table is perfect for lamps, potted plants, magazines or other small items. 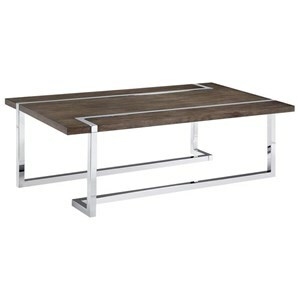 The Kieran T4215 Rectangular Sofa Table by Magnussen Home at Powell's Furniture and Mattress in the Fredericksburg, Richmond, Charlottesville, Virginia and Maryland area. Product availability may vary. Contact us for the most current availability on this product. Browse other items in the Kieran T4215 collection from Powell's Furniture and Mattress in the Fredericksburg, Richmond, Charlottesville, Virginia and Maryland area.